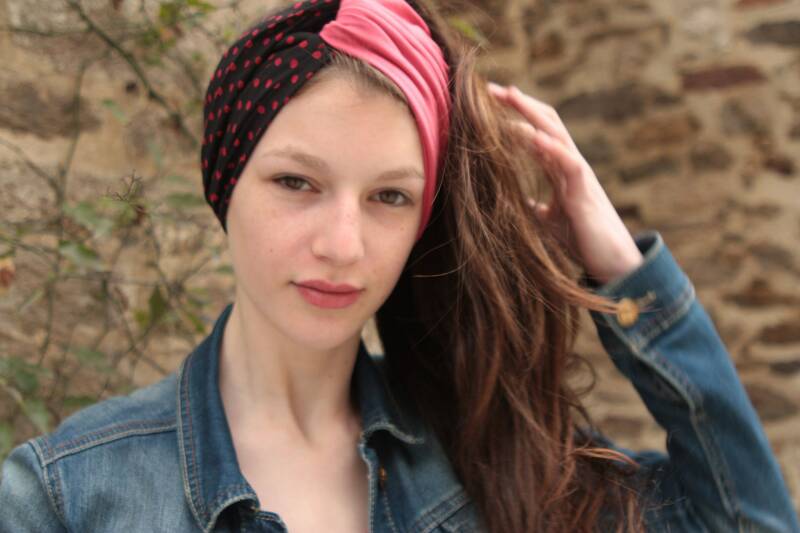 Retro, vintage polka dot viscose hair and Jersey headband. 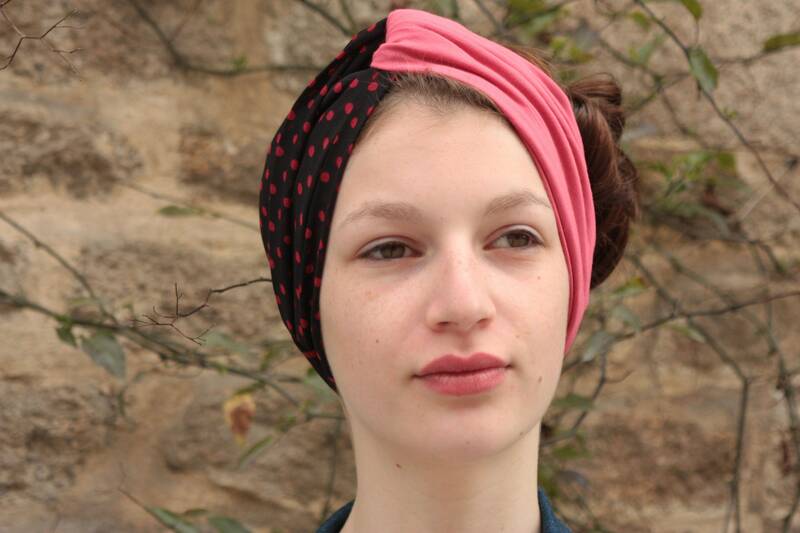 Turban fabric woman. 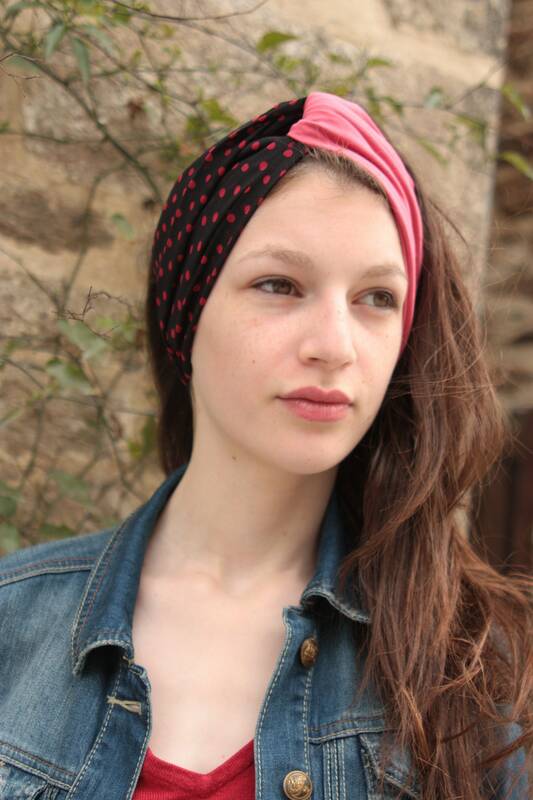 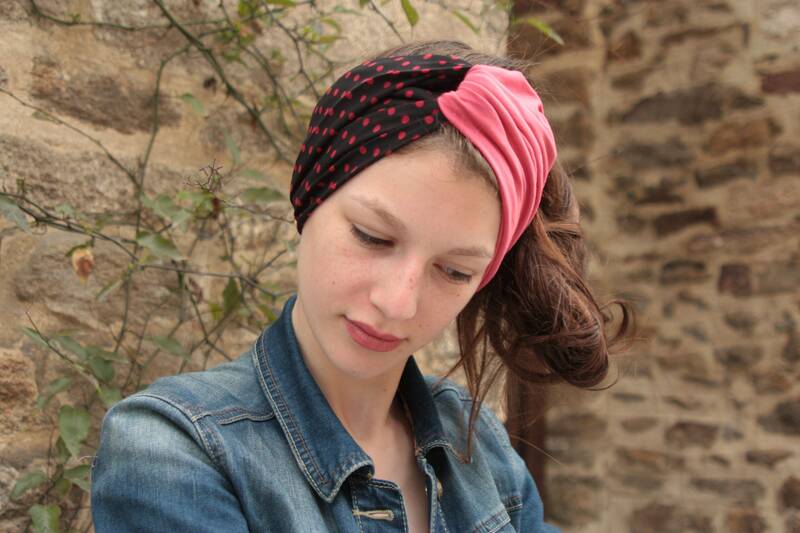 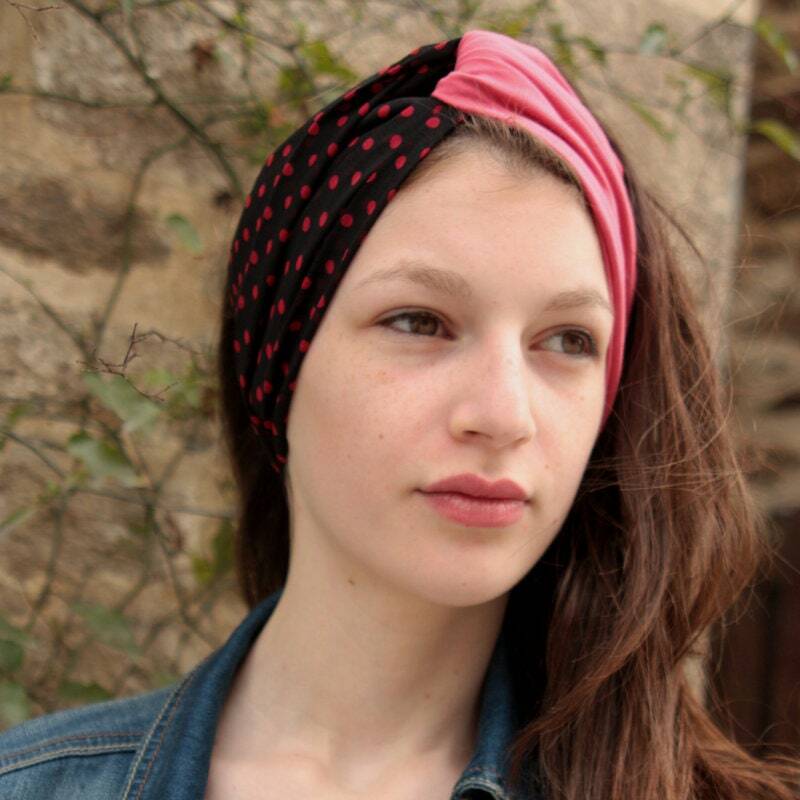 This headband is made in 2 materials, some black polka dots red viscose. 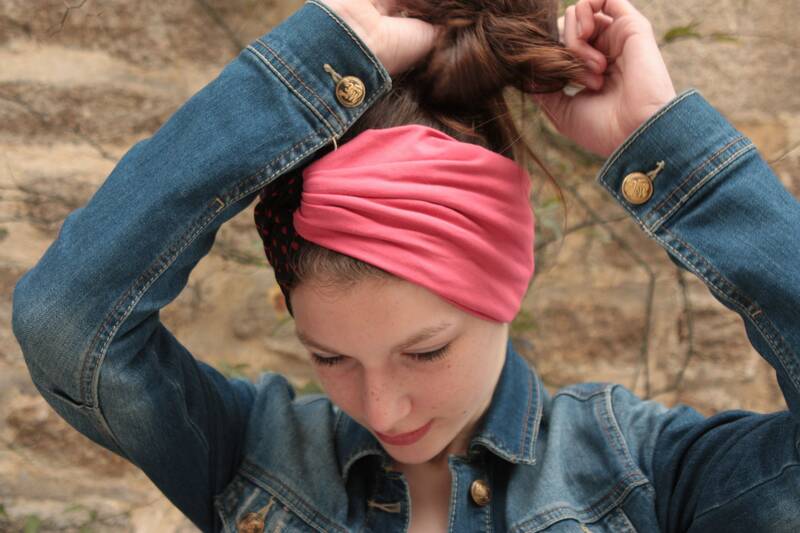 The other side is cotton Jersey pink to give ease to the Turban.